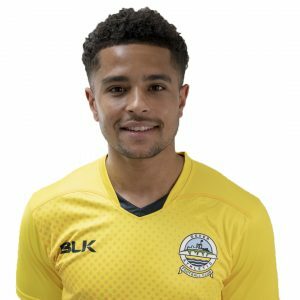 RICKY Modeste’s injury-time winner completed an impressive comeback as Dover ensured National League safety at the Furness Building Society Stadium. Having been two goals down following a goal either side of the break from John Rooney and Lewis Hardcastle, strikes from Mitch Brundle, and substitutes Anthony Jeffrey and Modeste in the final 17 minutes sealed a memorable comeback for Andy Hessenthaler’s side. 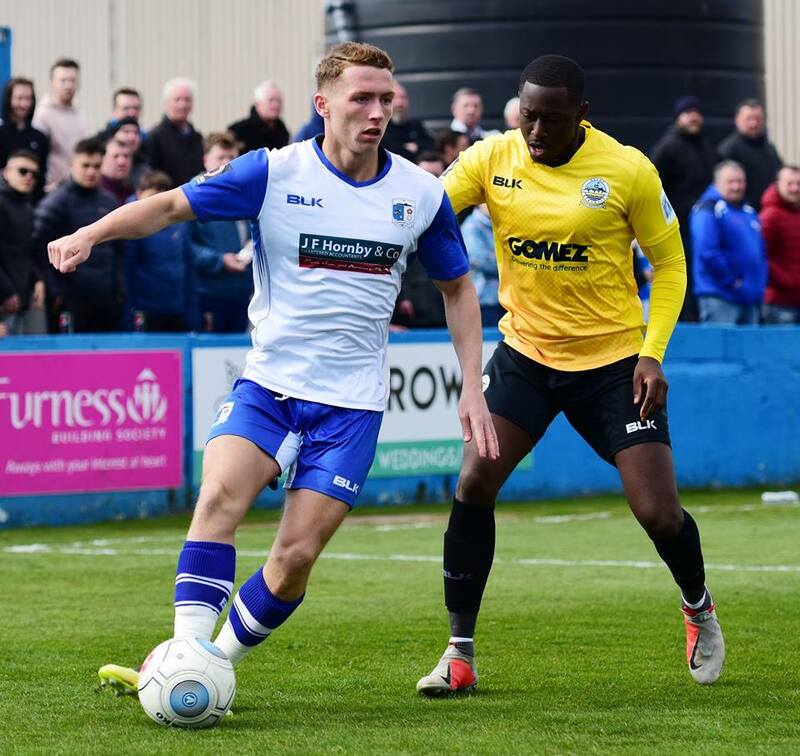 The victory assures Athletic’s place in the top tier of non-league football with three National League games remaining of the current campaign. It was almost a nightmare start for Whites when Rhys Norrington-Davies escaped out wide, however visiting stopper Lee Worgan saved the midfielder’s initial shot from the angle, before recovering quickly to block the rebound from the same player. And Norrington-Davies was not finished there. The left-sided player was quickest to react to Jack Hindle’s deflected shot, only for Worgan to deny the wideman for a third time, bravely blocking his shot from point-blank range with Rooney clattering the rebound against the post from yards out. Inih Effiong, on the hunt for his ninth National League goal of the campaign, latched onto Brundle’s long ball, chipped the ball over home goalie Joel Dixon’s head, but as the forward was about to pull the trigger, recovering defender Sam Hird was able to make a crucial interception and turn the ball away for a corner. A scramble in the visitor’s box almost resulted in the opening goal, however Jai Reason, Alfie Pavey and Effiong were unable to find a route to goal, with the latter denied by spectacular block on the goalline by Dixon. Minutes later and Athletic were on the attack again. Effiong sent Reason clear and with just one defender between himself and the goal, opted to play in Pavey, however the striker’s first-time shot flew inches wide of the post. The opening goal did arrive two minutes prior to the break courtesy of Rooney. Hindle found Rooney in space on the edge of the penalty area and the Bluebirds’ playmaker made no mistake, curling the ball into the top corner. Effiong almost levelled just before the half-time whistle, however was unable to beat Dixon at his near post following a darting run. Brundle took aim from 30 yards shortly after the restart, with the ball flying just over the crossbar. At the other end James Philpot saw a close range effort hacked off the line by the away defence. Hird was almost left red-faced as he volleyed Brundle’s cross over his own bar. Philpot then saw an effort deflect just off target, however fortune favoured Barrow’s next attempt on 69 minutes as Ian Evatt’s Barrow went two goals ahead. 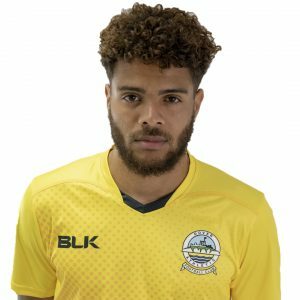 Lewis Hardcastle took aim from the edge of the box and the ball struck the chest of the unfortunate Kevin Lokko and past the already diving Worgan to double the home side’s advantage. But Athletic were back in the game four minutes later through their captain. Sub Jeffrey crossed low from the left for the onrushing Brundle to fire into the bottom corner of the net. The assister then turned goalscorer nine minutes from time as Dover levelled. Bobby-Joe Taylor’s through ball was seized upon by Jeffrey who smashed the ball into the bottom corner out of reach of Dixon. And the turnaround was sealed as the clock moved into injury-time. Taylor crossed for Modeste to stab in the winner and cause wild celebrations among the 25 travelling supporters. There were more jubilant celebrations at the full-time whistle as Dover’s win, coupled with a defeat for Havant & Waterlooville and a draw for Aldershot, was more significant than just the three points. Earlier, boss Hessenthaler made one change to the side that drew with Chesterfield last week. Nortey replaced the injured Bedsente Gomis and Jamie Allen returned from injury to take his place among the substitutes. Whites next host Aldershot Town in the National League on Good Friday 19th April, kick off 3pm.